After BP agreed to pay $4.5 billion to the government, and another $9.2 billion in penalties since its catastrophic oil spill, a new ruling has put the corporation under fire again. A US District Judge has found BP grossly negligent and it’s subcontractors, Halliburton and TransOcean, negligent for their roles in the 2010 Deepwater Horizon explosion and subsequent dumping of more than 210 million gallons of toxic sludge into the Gulf of Mexico, killing 11 people and countless marine creatures in the process. Under the Clean Water Act, the new ruling could effectively quadruple the penalty per barrel spilled that BP will have to pay. 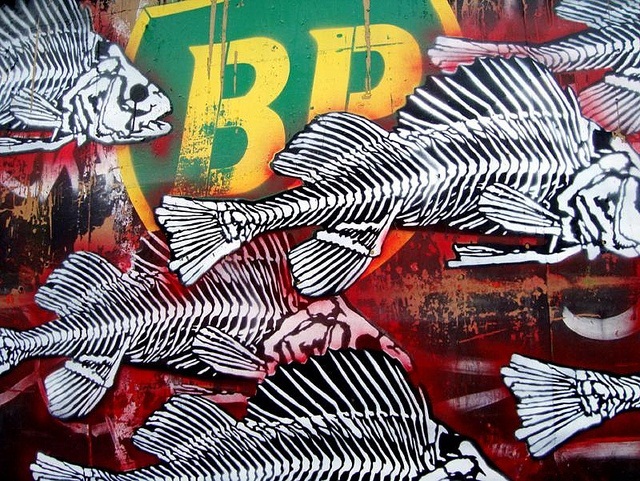 BP’s criminal negligence shouldn’t come as a surprise. After nine years at sea, company management acknowledged that the Deepwater drilling rig was in decline and presented a quote “intolerable risk” to safety, yet chose to do nothing. Halliburton also plead guilty to the destruction of key evidence related to the company’s shady cost-cutting practices like failing to inspect the well’s cement mixture, and using only six of the recommended 21 centralizers to secure the site. 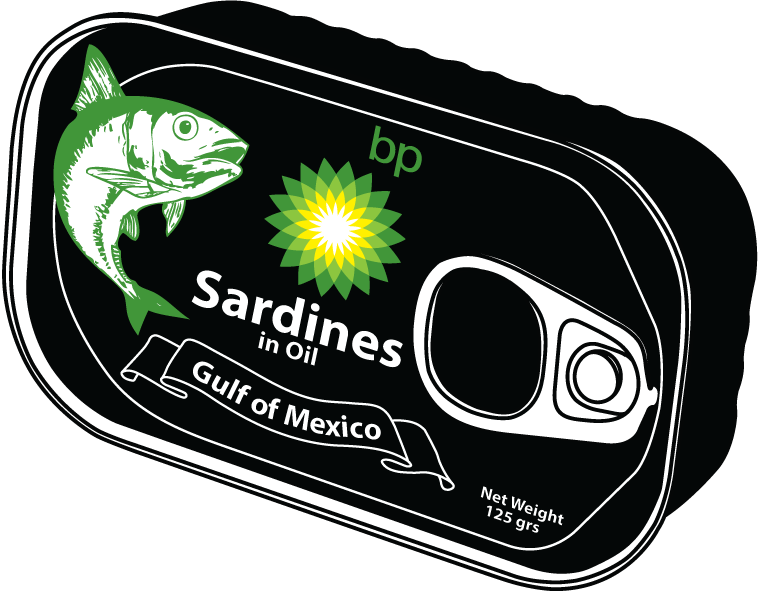 Besides the massive damage that’s been done to the environment as a result of the BP disaster, the health impact on humans continues – largely because of the decision by BP and the EPA to spray nearly two million gallons of a dispersant called Corexit onto the water, making the oil 52 times more toxic, according to the Environmental Pollution Journal. All this aside, BP’s contracts with the Defense Department have more than doubled in the years since the disaster. Even though the media is fatigued with its coverage of this disaster, Breaking the Set went down to the Louisiana Gulf Coast to see how the region is faring nearly five years later and to investigate the spill’s lasting damages. We learned that hundreds of thousands of people are still sick, and that the oil industry has turned the once vibrant shore into a graveyard. Exclusive coverage includes interviews with Jorey Danos, a sick clean-up worker who was exposed to a toxic chemical dispersant known as Corexit, award winning toxicologist Wilma Subra, Gulf Restoration Network’s Jonathan Henderson and Clint Guidry, President of the Louisiana Shrimpers Association. Q: Why were cleanup workers refused respirators and even threatened with termination if they requested them, according to multiple interviews with clean-up workers and the Louisiana Environmental Action Network? A: We certainly do not and would not retaliate against workers. BP worked closely with OSHA, the US National Institute for Occupational Safety and Health (NIOSH) and other US government agencies to take extraordinary measures to safeguard the health and safety of responders. Workers were provided safety training and appropriate personal protective equipment (PPE), and were monitored by federal agencies and BP to measure potential exposure levels and to help ensure compliance with established safety procedures. Response workers applying dispersants received training on work procedures and PPE usage designed to minimize exposures, and were provided respirators and other PPE. Workers who were not exposed to dispersants may have asked for a respirator, possibly in the mistaken belief that it would provide an extra level of protection and safety. This is not true. Perhaps the most important consideration in voluntary respirator usage is the potential physiological burden placed on the user. That was particularly true given the hot working conditions encountered during the response. Due to the extensive controls in place, there was little potential for worker or public exposure to dispersants. More than 30,000 air monitoring samples were collected by the Coast Guard, OSHA, NIOSH, and BP as part of a comprehensive air monitoring program to evaluate the potential for human exposure to dispersant and oil compounds. The results showed that response worker and public exposures to dispersants were well below levels that could pose a health or safety concern. For these reasons, respirators typically are not provided to people who do not need them, and who have not passed the required tests for fitness to wear the equipment. In consultation with NIOSH and OSHA, BP developed guidelines to help determine when PPE, including respirators, was to be used. Known as the “PPE Matrix,” this guideline was made available on several websites, including websites for BP and OSHA. Under the PPE Matrix, respirators were to be used in specifically- identified situations, including during the application of dispersants. There were times, however, when the potential risks associated with using a respirator outweighed the benefits since air monitoring data indicated that worker exposures to chemicals of concern generally were well below occupational exposure limits, and respirator use could place physiological stress on the body. In those cases, protection was provided by work practices and procedures and the use of other PPE. A paper reviewing OSHA and NIOSH’s response to the accident can be found here. Q: Why was the public told that Corexit was as harmless as Dawn, when five of the ingredients in it are linked to cancer, 33 are linked to skin irritation and 11 are respiratory toxins, according to expert toxicologists, Wilma Subra and Dr. Susan Shaw? The same ingredients contained in Corexit are also found in common consumer products such as household cleaners, food packaging, hand lotion and cosmetics. The product ingredients alone do not determine if a compound has created a public health concern; there must also be exposure to a compound at levels and for sufficient duration that could cause harm. The results of extensive monitoring conducted by federal agencies and BP show that response workers and the public simply were not exposed to dispersant compounds at levels that might pose a health risk. Due to the controls in place during dispersant application operations, there was little potential for public or worker exposure when dispersants were applied to the oil offshore. This was confirmed by the government findings as previously mentioned. Q: Why has the active cleanup of Louisiana’s coast officially ended when thousands of tar balls continue to wash on shore? A: The Coast Guard ended active cleanup after an extensive four-year effort. Even so, we remain committed and prepared to respond at the Coast Guard’s direction if potential residual Macondo material is identified through the National Response Center reporting process and requires removal. We have teams and equipment at staging areas in Grand Isle, LA and Gulf Shores, AL ready to rapidly respond as necessary. Additionally numerous studies and reports have documented the presence of tar balls along the Gulf coast in the decades before the Deepwater Horizon accident, and during our cleanup efforts we continued to find tarballs that did not contain residual Macondo oil. Q: Why have only 148 people received any medical claim whatsoever well over four years after the disaster and why is the average benefit only $1,600 dollars, when doctors such as Michael Robichaux has studied hundreds of patients and observed long term and possibly lifelong health effects in the process? Can you imagine a huge aquarium for large fish like sharks, sting rays and others with an oil rig inside? Do you believe it was sponsored by not one but FIVE major oil companies (BP, Shell, Exxon, Mobil, Chevron, and Kerr McGee)?